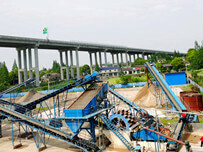 Sand washing machine is a kind of mechanical, early sand washing machine is mainly with the production of sand production line for washing and grading sand and gravels. The development of sand washing machines is follow market and customer’s needs, so sand washing equipment become more and more advanced, processing capacity also in continuously strengthened. 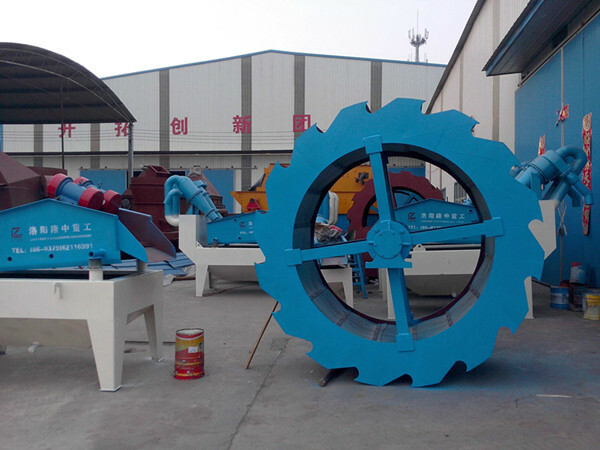 Bucket wheel sand washing machine with its own production capacity is relatively strong, and simple structure so many users are very fond of it. The main part of the equipment for sand washing is by transmission device, lifting structure and bucket wheel body parts. 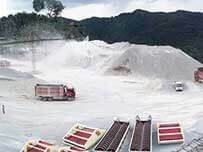 Aggregate processing materials is the use of this principle, different materials can be cast when into a liquid produced different settling velocity, the coarser material deposited in the bottom of the groove, and lighter weight materials floating in the upper end in bucket wheel of the thrust to the overflow out, thus realization material sand washing process. At the same time, it can filter the materials that have been washed, and finally get the materials with different sizes to meet the needs of production. Material in sand washing machine internal processing wash sand machine groove discharge amount and speed will be affected by physical action, so groove width and height to become the biggest cause of influencing the efficiency and the ratio between them dubbed must timely grasp the good. Overflow in the sand washing machine discharge quantity and discharge velocity is affected by the width of the trough of, it is obvious that the two are positively related to the proportion of. 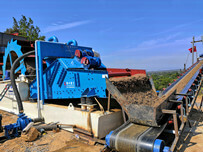 The general manger wider if a material will increase the amount of the outflow discharge rate have increased. 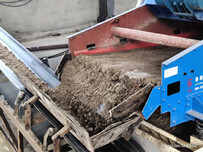 Gravel material of the settlement process is affected by the width of the sand washing machine trough and its settlement area is with trough width is proportional relationship, trough the wider the ore is easy to settlement, so the sand washing machine users should according to their own processing of materials to choose the type of sand washing machine.